Beginning August 1, AT&T will raise its activation/upgrade fee for customers signing up for a one- or two-year contract, alongside introducing a specific activation fee for all AT&T Next and Bring-Your-Own-Phone customers. According to sources speaking with Droid Life, the new contract upgrade fee will increase from $40 to $45, while the activation cost for Next and BYOP customers will be $15. If true, AT&T will have the highest activation fee amongst its competitors. Other carriers, like Verizon, sit around a $40 upgrade fee cost currently. 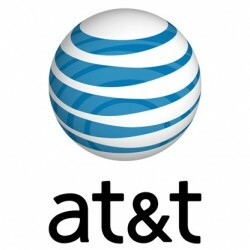 With the uptick in price for the carrier's contract activation charges, AT&T is changing its installment plan option, AT&T Next, from a no-cost-to-start service to requiring a $15 activation fee. The same $15 charge will be placed for customers interested in activating a new line of service with the BYOP program, which lets customers save money on their yearly contracts by bringing in a phone purchased elsewhere to avoid paying full-price. It appears that AT&T will grandfather in existing AT&T Next customers who have a plan with the company prior to August 1, and won't be charged the $15 fee on their next upgrade. However, the carrier noted that this policy is "subject to change," meaning existing Next customers may be facing the $15 charge sometime down the line of their upgrade cycle, if not immediately after the changes take effect. Activation fees and registration fees should be illegal. It literally costs them nothing to "activate" a phone. When I read this from a European's perspective the first thought I had was how can this happen? Then I looked up average contract costs and I was even more confused. Aren't there four networks that compete? I have three were I live and dozens of MVNOs. Can someone explain to me why mobile is so expensive in the US even with competition? (not trying to be snarky or anything, I actually don't understand). They don't really compete here. More like collude. Good bye AT&T. You are heading in the wrong direction. Maybe in a couple of years we'll be reading about the deal where T-Mobile is bidding to buy a beleaguered and failing AT&T. When they advertised Next, they boasted about "no activation fee". Now that most users have switched, they are bringing it back. I've been talking to T-Mobile looking to migrate my 9-line mobile share plan. Looks like they're making it even easier for me. Verify coverage first. I just actually switched to AT&T from T-Mobile since T-Mobile has such terrible coverage. Anyone who stays with AT&T rather than switching to an MVNO pr T-Mobile deserves to be screwed over by AT&T. Educate yourself then switch, that is the only way AT&T will change, when they start losing a large number of customers. T-Mobile has much better plans but that doesn't help when you can't make / receive a call. I'm honestly on the edge of switching to t-mobile. If when I upgrade in the fall and they don't wave this idiotic fee I will switch.